HyperX is a go-to name in the affordable gaming peripheral segment. To make its mark at CES 2018, the company has launched its first wireless gaming headset — the HyperX Cloud Flight. 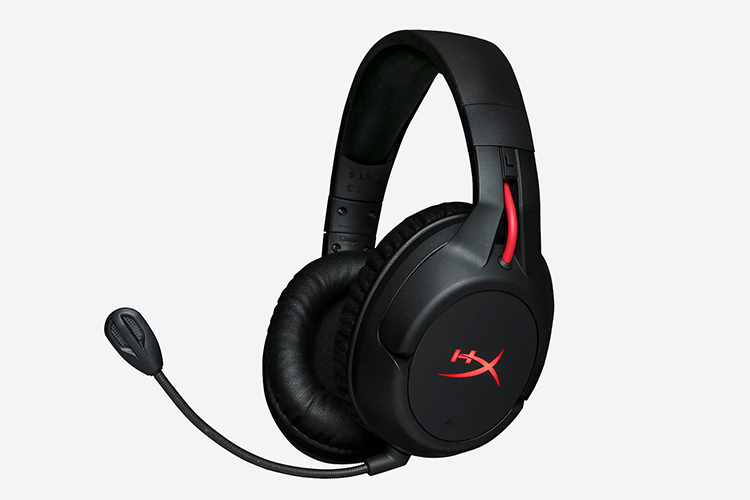 HyperX claims the headset features longest-lasting battery in the gaming segment with up to 30 hours of backup. Starting today, the headset is available in the U.S., Canada, Europe, and Australia for a price of $160. The HyperX Cloud Flight boasts big 50mm audio drivers housed inside closed cups which can rotate up to 90-degrees on either side. It relays signals to the receiver at 2.4GHz and features a noise-canceling microphone which can be easily detached from the main unit. The headset has earned certifications from TeamSpark and Discord which means you can rely on it for those long and engaging multiplayer battles without having to crib over the sound quality even once. Another feature which sets them apart are the illuminated RGB logos outside each cup, which can be customized to constant or breathing. Alongside the LEDs are controls for power, volume, and mute. The HyperX Cloud Flight is compatible with PC, PlayStation 4, and PS4 Pro, but you can connect it to any three pole analog-compatible device using the supplied 3.5mm cable. HyperX arrived at CES 2018 with a few more gaming accessories. 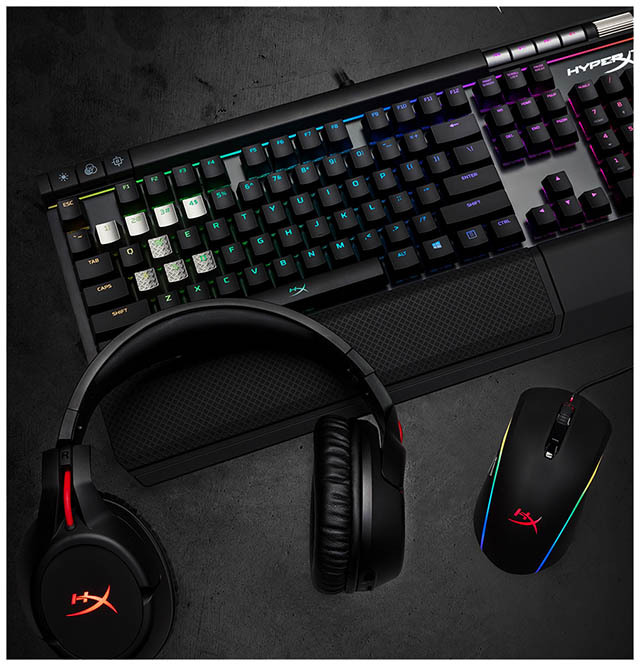 It has introduced HyperX Alloy Elite RGB Mechanical Keyboard and Pulsefire Surge RGB Mouse – both dedicated to dynamic gaming. The mechanical keyboard features a detachable wrist rest and accented with titanium-colored WASD textured keys. It also comes with a Game Mode, n-key rollover, and anti-ghosting to enable identification of all the keys pressed simultaneously. Meanwhile, the RGB gaming mouse gets impeccable accuracy with settings up to 16,000DPI. It also features six programmable keys which can be customized as per utility. The keyboard is priced at $170 while the gaming mouse would cost you up to $70.